Another week draws to a close and I know that I’ve been a little off recently and I am going to work harder to get back to full steam. 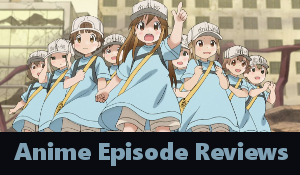 That said, the community has delivered some truly great posts and as the anime of the Spring season wrap up we’re starting to get some great reviews. 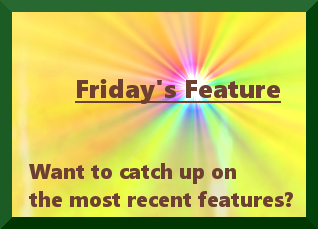 Below are some posts that caught my eye during the week, but as always if you want to give a shout out to a post, please leave me a comment below. It is time to vote for the best and worst of the season for Spring 2018, so be sure to hop on over to the post, cast your votes, and please help share the poll as the more the merrier. Poll closes June 30. Also, my Inquiring Minds series of posts has gone for 23 weeks now and I’m finally starting to run low on questions from readers, so just reminding you that if you have a question for me to answer, please complete the two question survey here. The second question is optional, but if you answer it I will provide the name of the person who asked the question and link back to your blog when I respond. Questions can be about anything though I may not answer it if it is too personal. So far I’ve answered every question so we’ll see how we go. But Why Tho? looks at Geek Romance in Wotakoi. 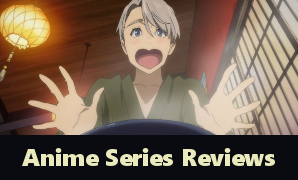 Now, I don’t have access to that anime, but some of the reviews have been very positive and in the poll for best of the season it is going quite well, so I enjoyed reading this and finding out more about the appeal of the anime. Great read. Yuri Reviews takes on a movie review with Bodacious Space Pirates: Abyss of Hyperspace. As I still haven’t watched the series of this, I’m not really looking to watch the movie anytime soon, but this was a nicely detailed review that made me a little bit curious about the franchise even as it points out some weaknesses in the movie. Scott from Mechanical Anime Reviews looks at characters losing, their limitations and grounded storytelling in a post that makes for a pretty interesting read. A lot of shounen characters get a mention here but the post is about the internal logic of stories and character power ups and what can be learned from failure. Be sure to check it out if you missed it. Ctrl + Geekpod has a review of Cardcaptor Sakura: Clear Card that is probably a little bit more optimistic than mine (linked below). However, the consensus with this series seems to be that without the nostalgia effect the series itself is lacking quite a bit. 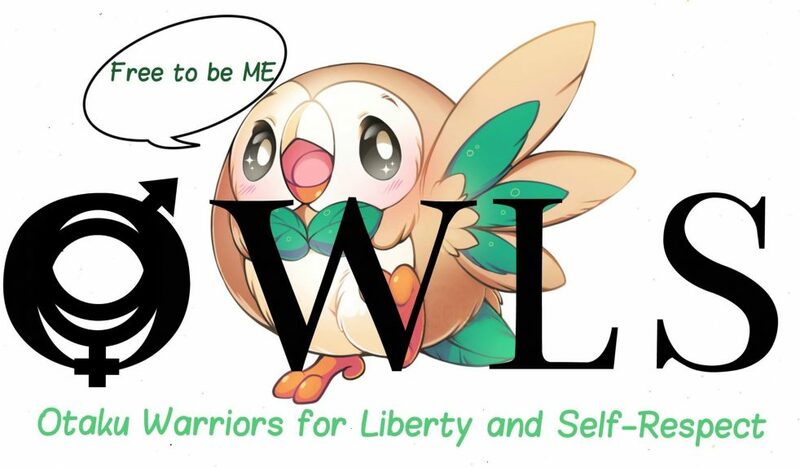 Anyway, if you would like a fairly balanced look at a cute series, this review is a great read. For another perspective, Never Argue with a Fish also takes on Cardcaptor Sakura: Clear Card and found it didn’t quite live up to expectations. This nicely explains what the show did and what opportunities the anime didn’t really use and is a fun read. 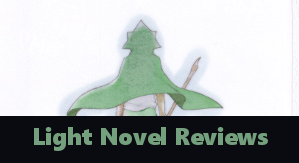 Astral Gemini from The Zodiac Room has a light novel review of Didn’t I Say To Make My Abilities Average In The Next Life? Despite the very long title, it actually sounds like kind of a fun read so I’ve added yet another title to my ever growing wish list of books to check out, though I’ve currently got quite the stack to work through reading. Be sure to check out their thoughts on the book. Irina shares her list of Top 5 Anime Gadgets. 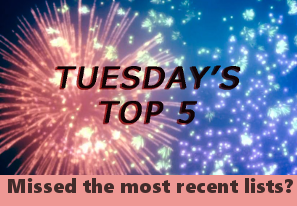 This is a great list and the conversation it has generated as people share their favourites is also pretty good to read so be sure to go through the comments as well as the post. Be sure to head on over, give it a read and share your favourite gadget from anime. Kapodaco also posts his thoughts on Hinamatsuri now that it has finished airing and while this review comes with some spoilers it does give a nice balance of ideas about the show so if you were on the fence about watching it, this might help you decide whether to take the plunge or not. Rocco B gives his final impression of Record of Grancrest War. I’ve really enjoyed following other bloggers as they’ve watched through the train wreck that is Grancrest and as these final thought posts come out, I think there’s something quite cathartic about reading them and reminiscing on each and every folly that the series embarked upon. If you haven’t had the pleasure of Grancrest, be sure to check out this post. Crushing on the Moon has a brilliant post about Natsume Yuujinchou focusing on ‘Shigure and the Girl’. There’s an intense amount of character analysis in this post and any fan of Natsume will definitely love reading this and get something out of it. For people who still haven’t watched Natsume’s Book of Friends, I seriously recommend reading the post and then go check out the series because you are missing out. Lita Kino checked out Noragami and delivered an incredibly touching post focused on Yukine. I loved reading this post because I remembered just how much impact Yukine’s story had on me the first time I watched Noragami and just how well this show balanced real drama with the more comedic elements. Anyway, this was a fantastic post and one to definitely check out. Thanks again for the mention, Karandi! I appreciate you and the great work you do! I loved your list this week. It made me start thinking of all the cool anime gadgets out there. I may end up borrowing this idea for a list sometime in the future. Thank you so much once again. A lot of great posts this week. It was a really fun week and I look forward to next week as more final reviews come out for the season.